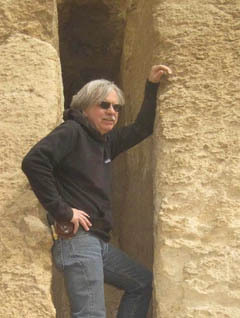 AERA’s Chief Research Officer, Dr. Richard Redding, will be the keynote speaker at the Joint Conference on the Bioarchaeology of Ancient Egypt & the International Symposium on Animals in Ancient Egypt (BAE) being held in Cairo from January 10-13, 2019. In the AERA Field Lab Richard Redding teaches Mohamed Hussein (far left) and Mohamed Raouf. Editor’s Note: As AERA continues its mission of education and outreach, we delight in sharing our staff’s knowledge with new generations of students and scholars. This is especially rewarding when we have the chance to delve more deeply into an area during an Advanced Field School session with students who have a passion for a particular topic. Here, two enthusiastic new students of AERA’s Archaeozoologist Dr. Richard Redding, Mohamed Hussein Ahmed and Mohamed Raouf Badran, share their experiences and impressions of their recent training session during the Giza 2018 field and lab season. We feel that the best way to train students is a hands-on approach to our current research topics. 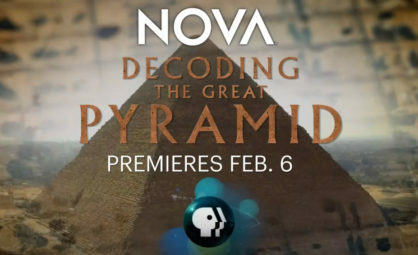 Mohamed and Mohamed did just that this season, jumping right in on new material from this season’s Kromer excavations. Become a member or make a donation to help us continue training the next generation of Egyptian archaeologists. 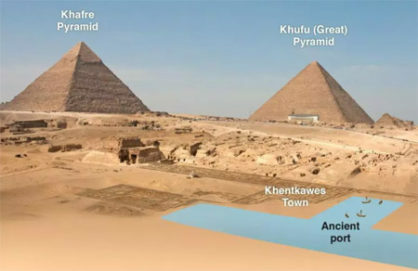 AERA’s discovery of two ancient homes near the Giza pyramids in Egypt was reported this week in LiveScience. 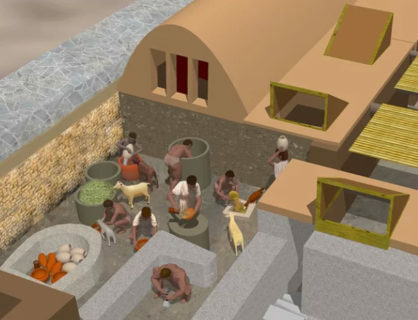 The houses were located near an ancient port that saw goods and materials coming in from all over Egypt and the eastern Mediterranean. 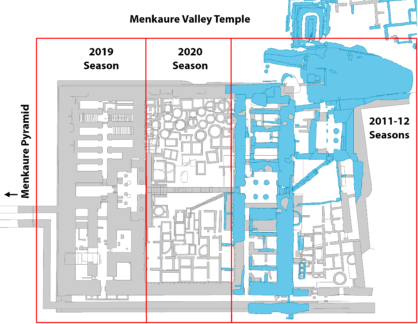 The structures may have housed officials responsible for overseeing the production of food for a paramilitary force living in a nearby series of galleries, during the time the Pyramid of Menkaure was being constructed at Giza. For more information, including a photogallery of images, see the full article on LiveScience. This two part lecture is free with museum admission & open to the public. To ensure admittance, reserve your tickets in advance either through the tickets link on the MFA website or by calling 1-800-440-6975. If your plans change, the MFA requests that you cancel your reservation so that others can attend. The Wadi el-Jarf site, excavated since 2011 by a team from Paris-Sorbonne University, is a harbor on the Red Sea that was used at the beginning of the Fourth dynasty to reach the copper and turquoise mines of the southwestern part of the Sinai Peninsula. 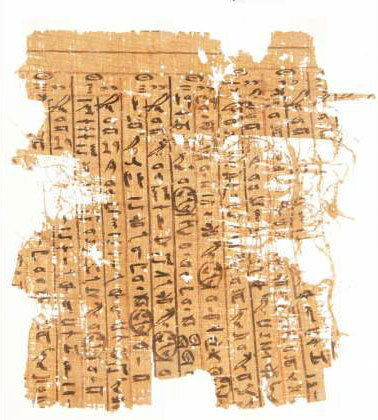 In 2013, hundreds of fragments of papyrus from the end of Khufu’s reign (about 2551–2528 BC) were collected at the entrance of one of the site’s storage galleries. This is the oldest papyrus archive found in Egypt; produced by a team of sailors and stone haulers led by Inspector Merer. 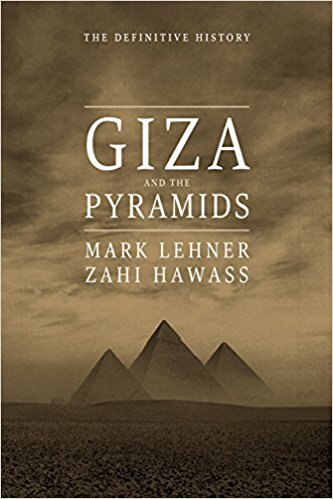 Dr. Mark Lehner was interviewed by CNN about his new book, Giza and the Pyramids, and about his decades of work on the Giza Plateau. He discusses how he got his start studying the Great Sphinx, alternative theories, and the recent discoveries at Wadi al-Jarf. In this new book Mark Lehner and Zahi Hawass provide insights into the history of the Giza plateau based on more than 40 years of excavating and studying the site. 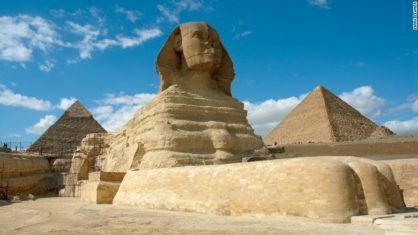 Though today the pyramids and the Sphinx rise from the desert, isolated and enigmatic, they were once surrounded by temples, vast cemeteries, harbors, and teeming towns. This book describes that past in vibrant detail, along with the history of exploration, the religious and social function of the pyramids, how the pyramids were built, and the story of Giza before and after the Old Kingdom. These monuments are brought to life through hundreds of illustrations, including photographs of the monuments, excavations, and objects, as well as plans, reconstructions, and images from remote-controlled cameras and laser scans. 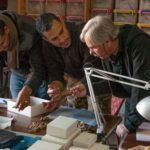 “Lehner and Hawass have produced an astonishingly comprehensive study of the excavations and scientific investigations that have, over two centuries, uncovered the engineering techniques, religious and cultural significance and other aspects of the Giza site.” Read the full review in Nature. Introducing a new website all about Memphis! At memphisegypt.org, we hope to bring Egypt’s ancient capital city alive once more and to share Memphis’ many stories with audiences near and far. 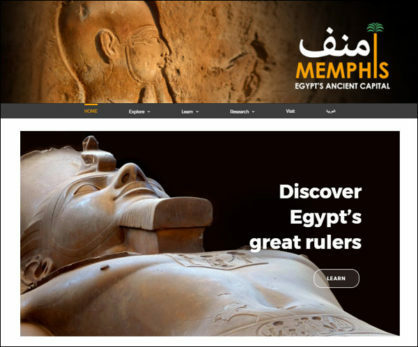 This bilingual English-Arabic website has information for both visitors and researchers about the sites and history of Memphis, from its birth 4900 years ago to the present day. and information about the project itself, including our recording methodology and information about the project’s staff, students and sponsors.